Learn two different ways to go from Stunt Plane to Lighthouse. In order to do this trick, you want to make sure you know Stunt Plane and Lighthouse. So, to start off on the first variant, what you will be doing is a stunt plane. Then, once you are in your stunt plane grip, you are going to be using your wrist to flick the base cup away from your body. When you bring your hand up, you will notice the ken will fall out. Next you want to use that to help with the momentum of the ken flipping into the lighthouse. You really want to bend your knees and lob the ken really nice and slow. That way you have a lot of control over the ken’s orientation. 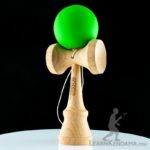 You will use your wrist, bend your knees, and you will flip the ken up, onto the tama, into the lighthouse position. Once again, you really just want to make sure that you are going nice and slow with this one. It does take a lot of practice. Do not get too frustrated. Now, for the second variant, what you will do is once you are in the stunt plane position, you are going to use your wrist and you are actually going to flip the base cup in towards your body. That way the ken rotates the opposite way, so it lands more like an inverted lighthouse. This one, you really want to make sure you use your knees on this, because it is a lot harder than the other one. 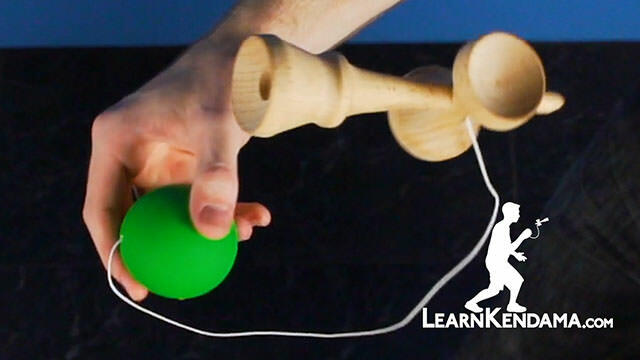 If you are not comfortable with landing an inward lighthouse, you can practice just from J-Stick, flipping the ken onto the tama from an inward position. 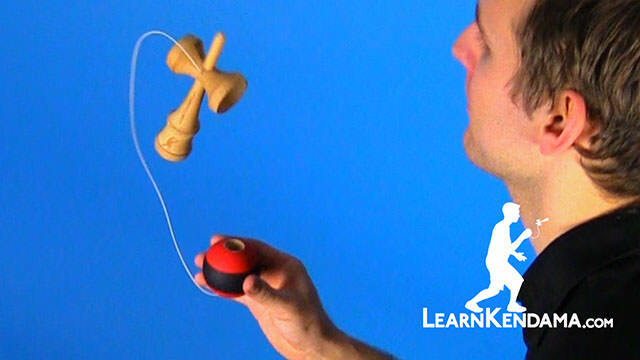 So, when you are in this position, you are going to use your wrist to flip the ken up into a lighthouse position. You will notice that the ken is only going to rotate halfway around. So you are really going to bend your knees to pop the lighthouse up, and then once you land it, you can end the trick by doing a stunt plane. And that is Stunt Plane to Lighthouse.